281.883.8470 Clean and Green Solutions, a Kingwood owned and operated, Soft Wash Roof and Exterior Cleaning company, also owns and operates the The Pressure Cleaning and Roof Cleaning School. Every month throughout the year, we have people that are interested in starting a Pressure Washing and Roof Cleaning business fly into Houston Texas to learn the Pressure Washing and Roof Cleaning business and receive actual hands on training. 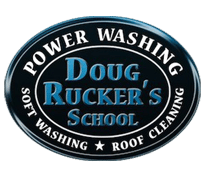 ?These students are closely supervised and trained by the owner of Clean and Green Solutions and The Pressure Cleaning School, Doug Rucker. 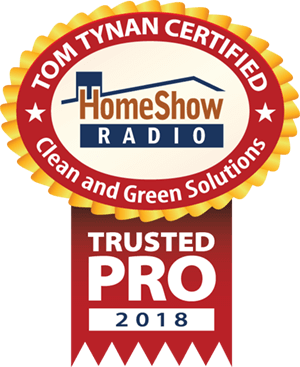 If you are a resident of the Kingwood Texas area, are interested in having your Roof Cleaned, Driveway Cleaned, and Exterior Walls Cleaned, at a substantial discount over our normal rates, in exchange for having your home used as a training home, we would love to talk to you about it. Most homes that qualify are 1 or 2 story homes, 3000 square feet and under. 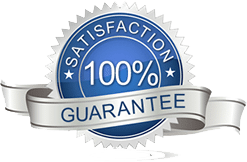 Often times you will receive a discount as much as 50% off our normal rates and receive the same superior cleaning that you would normally get at our regular rates. Having your home Pressure Washed can return your home to it’s original color and beauty and significantly increase your homes curb appeal. ?Having your Roof Cleaned and properly maintained, can save you thousands of dollars in premature replacement. If you are interested please call us at 281.883.8470. Clean and Green Solutions provides non pressure roof cleaning services for tile and shingle roofs, concrete driveways, walkways, pavers, playground equipment, wood and pool decks, exterior walls, and more. We also clean exteriors of homes, businesses, and commercial buildings using our non pressure cleaning method. ?Clean and Green Solutions can also remove oil and rust stains, hard water stains, efflorescence, and many other hard to remove or challenging stains.Call us at 281-883-8470 or visit us at www.cleanandgreensolutions.com. We offer FREE DEMONSTRATIONS and FREE ESTIMATES.We are proud to service all areas of Harris and Montgomery Counties and the Greater Houston TX area. Houston, Conroe, Humble, South Humble, Kingwood, Atascocita, Summerwood, Eagle Springs, Spring, Porter, Porter Heights, New Caney, Splendora, Cleveland, Huffman, Woodbranch, Roman Forest, The Woodlands, Shenandoah, West University, Deer Park, Pasadena, Sugarland, Bellaire, Missouri City and all other areas. Here are a few of the zip codes we service, 77336 77339 77338 77345 77346 77347 77325 77347 77396 77365 77357 77372 77327 77328 77396 77044 77354 77085 77373 77375 77379 77380 77381 77382 77383 77385 77386 77387 77388 77389 77391 77393 77301 77302 77303 77304 77305 77306 77384 77385 77005 and many, many, more.We clean homes, roofs, and businesses using a soft wash non pressure cleaning method that eliminates the risk of damage to your home or roof. This method of cleaning is safe for your home and your landscape. Call us today for a FREE ESTIMATE at 281.883.8470.?Clean and Green Solutions ? Safe for you and the environment.